Glen R. Cameron, 70, died, after a long illness, on July 4, 2017, at Richmond University Medical Center. Glen is survived by his sister, Susan Cameron of Red Bank, N.J.; his nephew, Russell Newman of Issaquah, Wash., and his niece, Emily Newman of Red Bank, N.J.
Mr. Cameron was born on Jan. 17, 1947, in Staten Island to Doris and Robert Cameron. He graduated from Port Richmond High School in 1965. 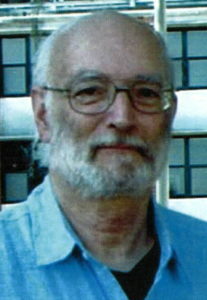 He studied forestry at Syracuse University in New York and then served in the Army from 1969 to 1972. After being honorably discharged, he worked for the U.S.P.S. for 42 years, and was a postal supervisor. He was a loving and devoted uncle to his niece, Emily, and nephew, Russell. He was an active man who was deeply involved in the church for the majority of his life. He enjoyed skiing, biking, hiking the national parks and road trips to visit his many relatives. His family and friends will always remember him as a kind, gentle and easy going soul, always thoughtful and helpful of others when needed. Viewing is at Cherubini Mclnerney Funeral Home on Sunday, July 9, from 2 to 4 and 7 to 9 p.m. Church service is at the Church of the Ascension on Monday, July 10, at 2 pm. Since Glen has chosen cremation, the burial will be at a later date. So very sorry for your loss. He was a very nice person. ( Linda and I are best friends) May he Rest IN PEACE in the loving arms of Jesus.